Auction Action, LLC. 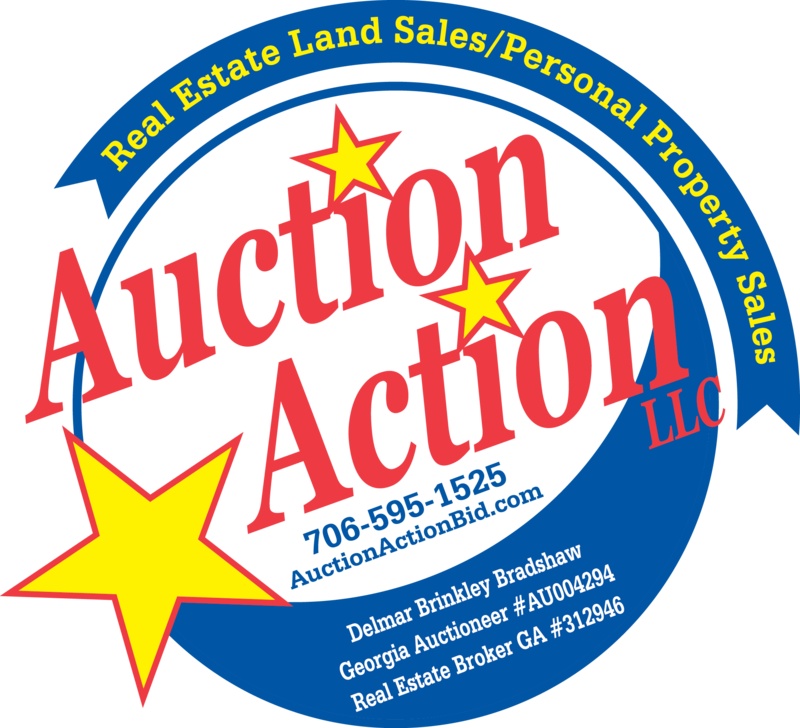 is a full service Auction company licensed in the State of Georgia. Georgia Auctioneer #AU004294. Delmar Brinkley Bradshaw is the lead auctioneer and is a State of Georgia Real Estate Broker. Georgia Broker #312946. Auction Action, LLC. is fully licensed to sell all types of Real Estate and Personal Property at Absolute Auction or Reserve Auction. Live On Site Auction and/or Internet based Bidding and Sale methods can be performed by the Auction Action team. Visit AuctionActionBid.com for the latest scheduled Auctions. Let us Prescheduled your Sale today. Professional Sale and prompt Payout of Values. Copyright 2016 Auction Action, LLC.